The actor is known for his quirky fashion choices and recently Ranveer Singh was snapped wearing a military print tracksuit from Adidas and paired it up with a black hat and sunglasses. The chirpy actress was spotted wearing a short military print dungaree last year at the Filmfare cover launch during the promotions of her film Shaandaar and looked super cool. It seems like King Khan is in love with his military print cargo, as he was seen sporting it twice and posed happily for the shutterbugs. In the first look, he has paired it with a plain black tee and in the other one, he has layered a white t-shirt with a blue jacket, while his shoes and sunglasses are the same in both the looks. Bollywood hottie Sidharth Malhotra was recently spotted wearing a cargo pant which he paired with a plain black tee. 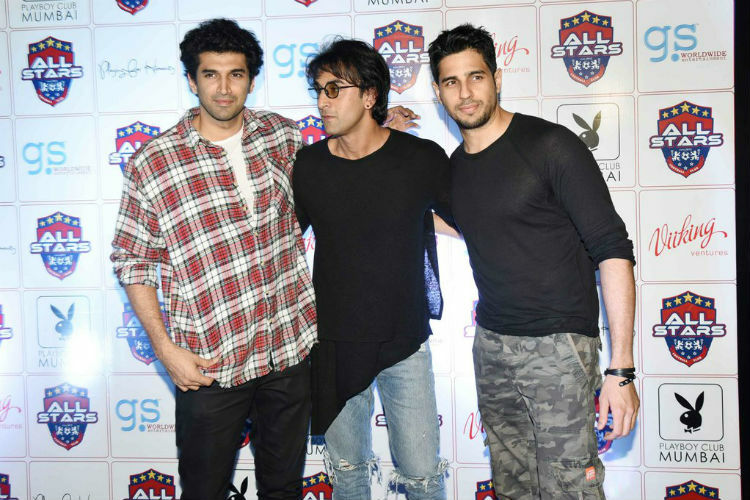 The actor posed for the cameras along with Ranbir Kapoor and Aditya Roy Kapoor at All Stars Football Club’s 5-year bash. 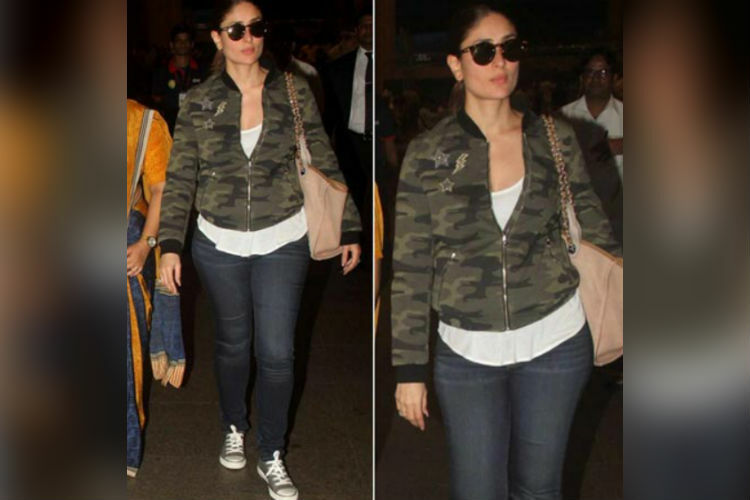 Bebo also rocked a military print bomber jacket and paired it up with a white t-shirt and dark blue denim. The actress completed the look with matching canvas shoes and sunglasses. The actress was spotted wearing military print outfits not once but twice. During the promotions of her film Force 2, Sonakshi Sinha sported a camouflage look pants and donned a military print jacket during the promotions of Noor and looked effortlessly chic. Recently during the promotion of her upcoming film Raabta, actress Kriti Sanon wore a sheer off-shoulder military print top and paired it with a black mini skirt. With her hair left open, she completed the look with black gladiator style flats.